This Easter basket is different from any I've made before. Usually, I'm decorating with bunnies, but this time the bunnies make up the basket. I printed two of the bunnies image (one facing the other direction for the back) and cut them out with just a little bit of white around the edges. I cut the bottom of the image straight so that that area could cover a small box. Below you can see the easy-to-make box. After making the box, I covered the sides with some cute polka dot paper. I'm calling it a basket because it's for Easter and it has a handle. Okay? and one facing the other direction HERE. Super duper sweet! Those vintage bunnies make this little box THE cutest. hugs! OMGOSH SOOOOOO CUTE! Lori Thank You for sharing. cute, cute, cute!!! absolutely love everything you make!! 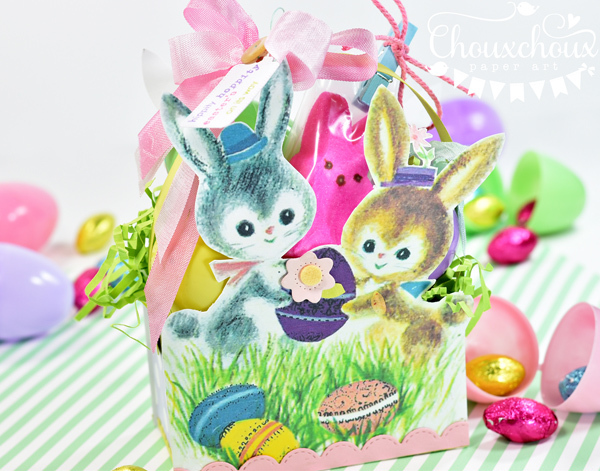 Adorable little basket with these vintage bunnies!! So cute and sweet!! Love the ribbon as handle! Thanks for sharing! 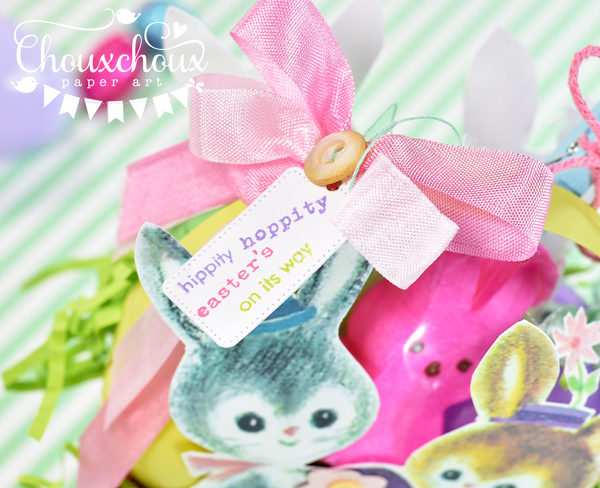 I'm sure your Honey Bunnies will love their gifts from you! Your vintage basket is adorable! Have a safe and enjoyable trip to Denver, Lori!! You do come up with the cutest ideas, Lori! So many perfect details like the multi-colored sentiment! Have a wonderful time with your Honey Bunnies & extra smooches for baby Louisa from me! What a darling vintage Easter basket!! Love how the bunnies make up the basket...so CUTE!! Thank you for the tutorial and download!! Happy Easter to you and family!! Even though I do not make the things you do - I love your posts - always something to warm my heart and remind me of when I was very young!! I love your Bunny basket Lori - so adorable & cute. 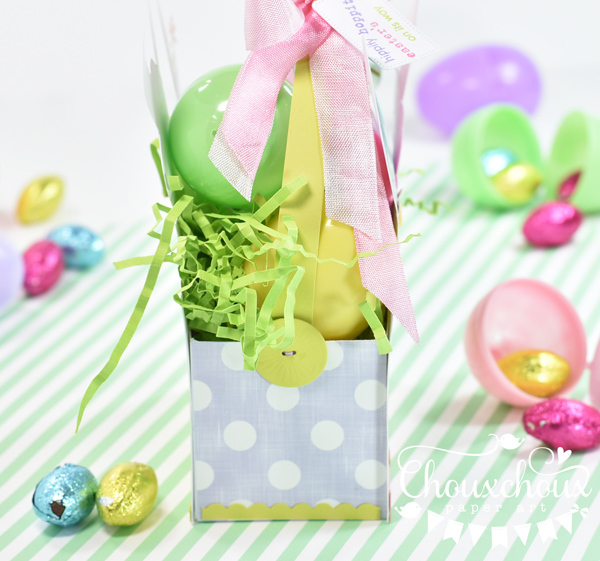 Love your adorable bunny basket!! 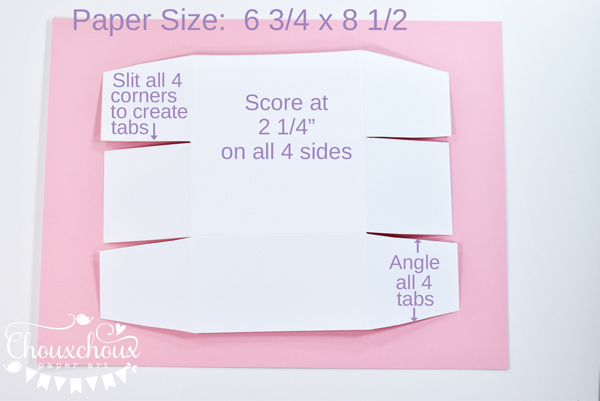 What a fabulous idea to turn one of your adorable printables into a basket! You are so creative, my friend! This is uhhhhdorable! Oh how PRETTY Lori! 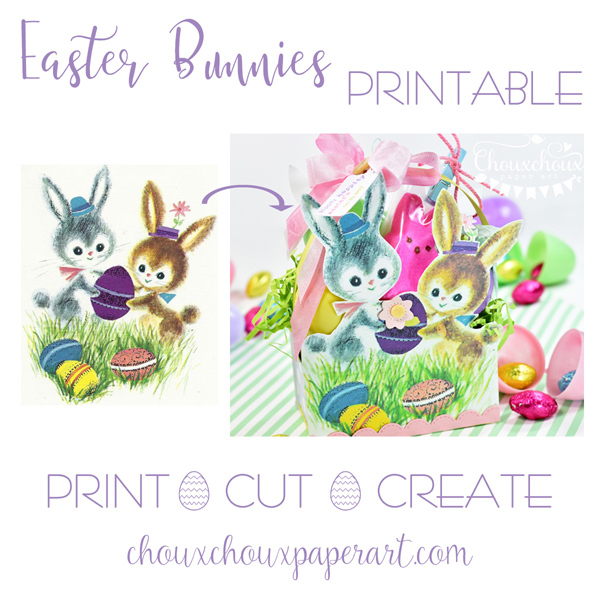 LOVE the bunny image.... this is a fabulous printable! That is definitely a basket!! Love this!